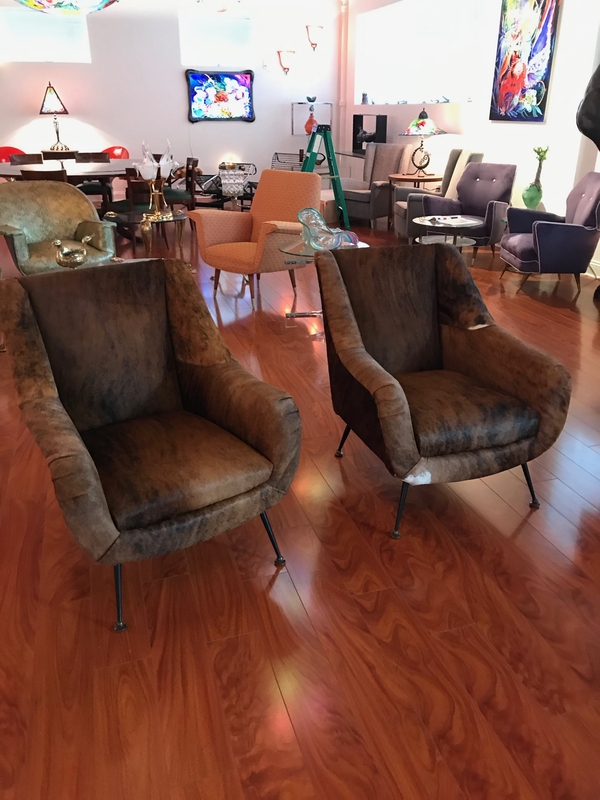 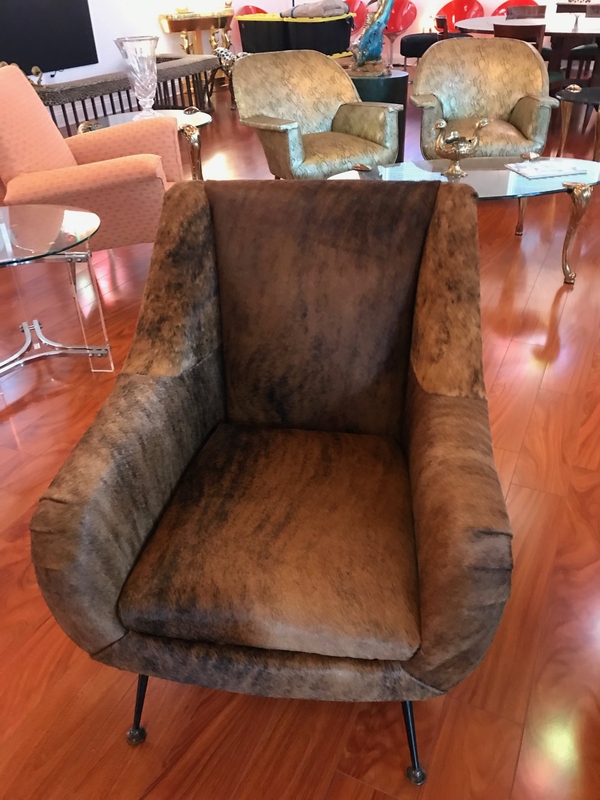 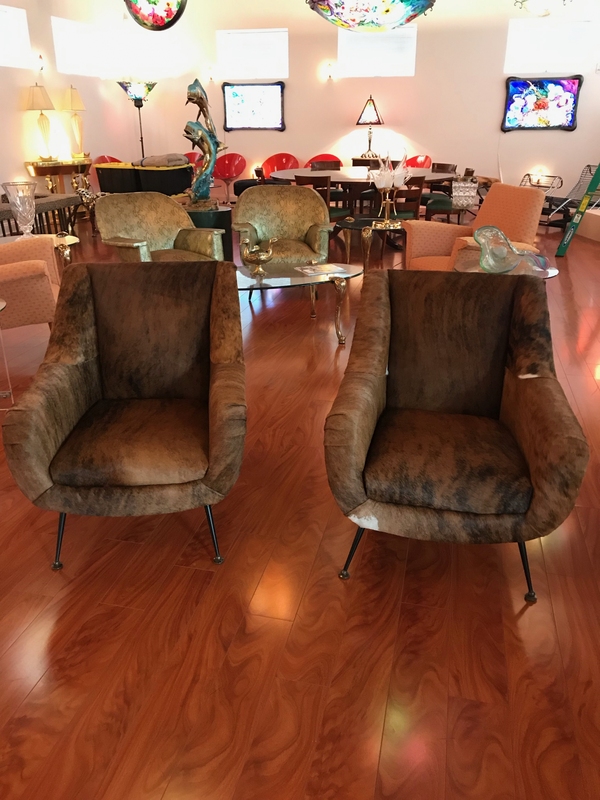 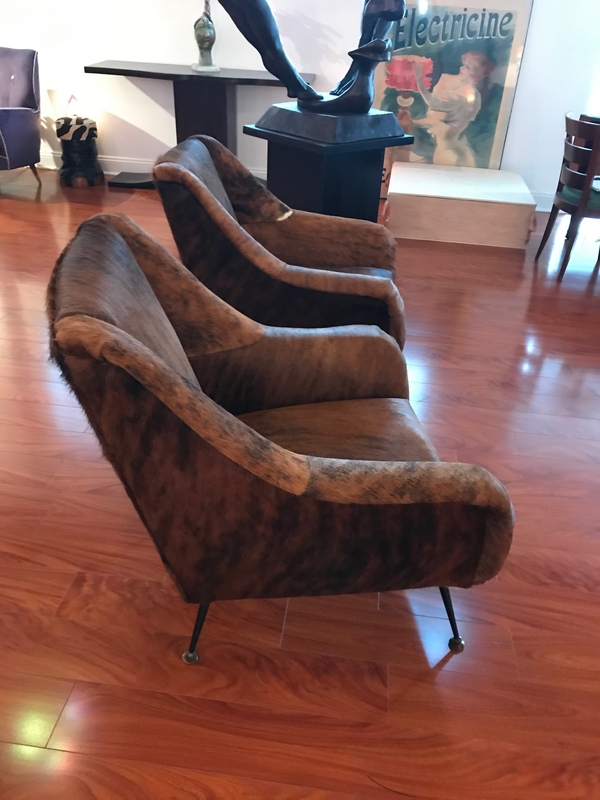 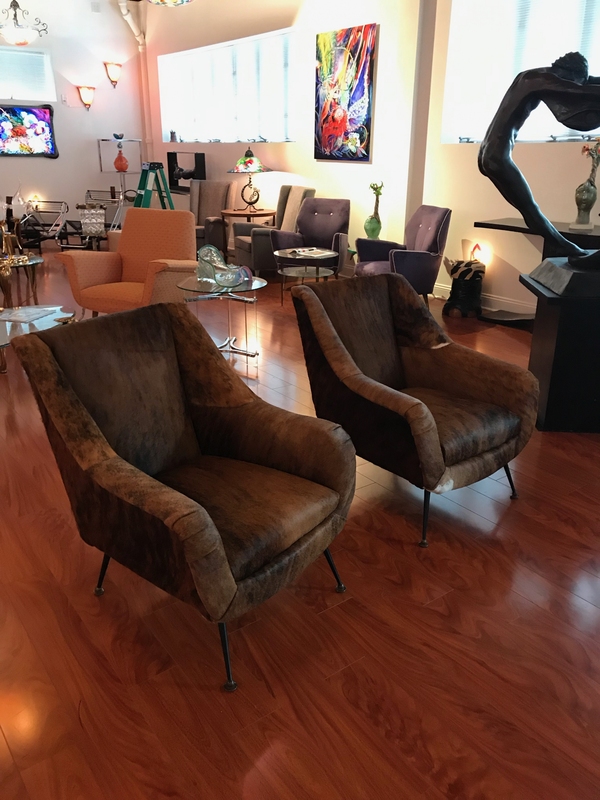 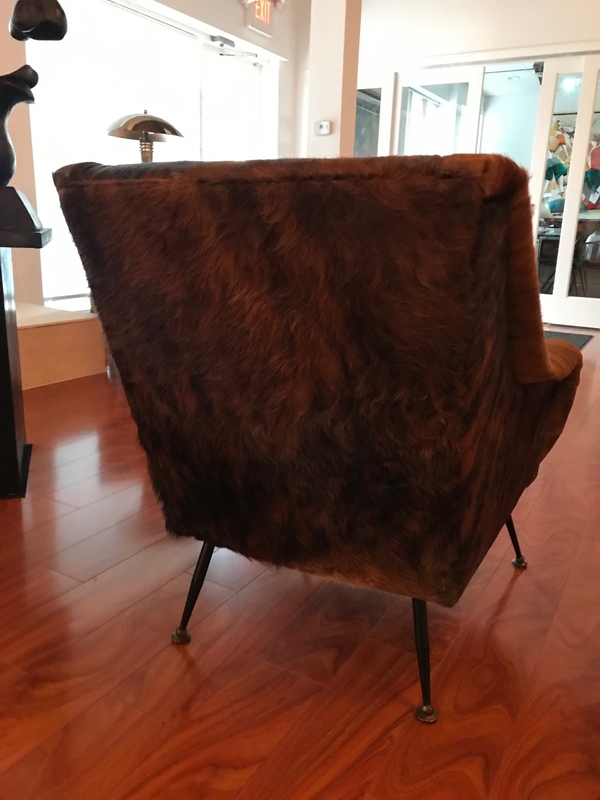 A pair Italian Mid-Century Modern club chairs reupholstered in cow hide, circa 1960. 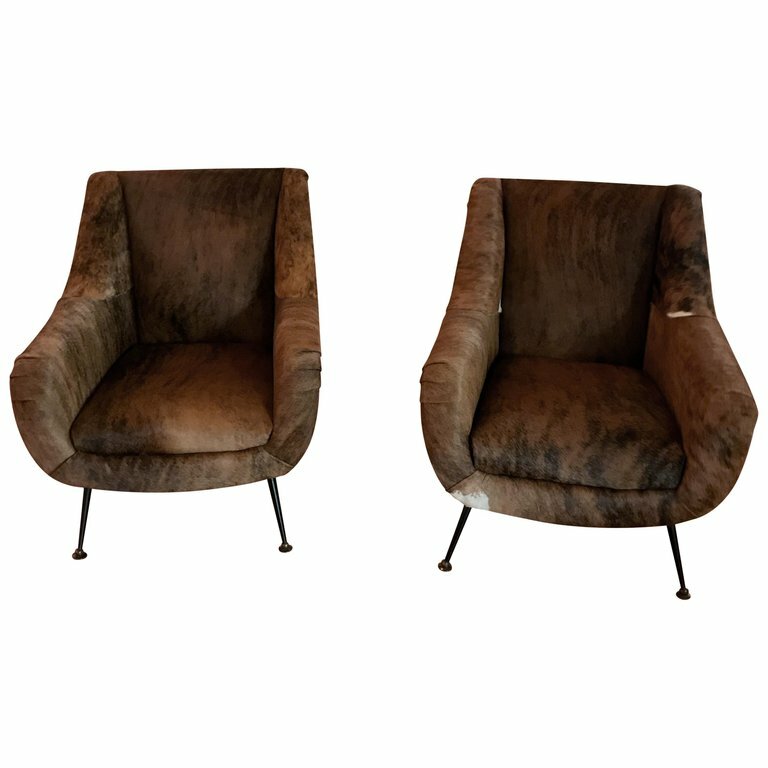 These are great for any room and are extremely comfortable. 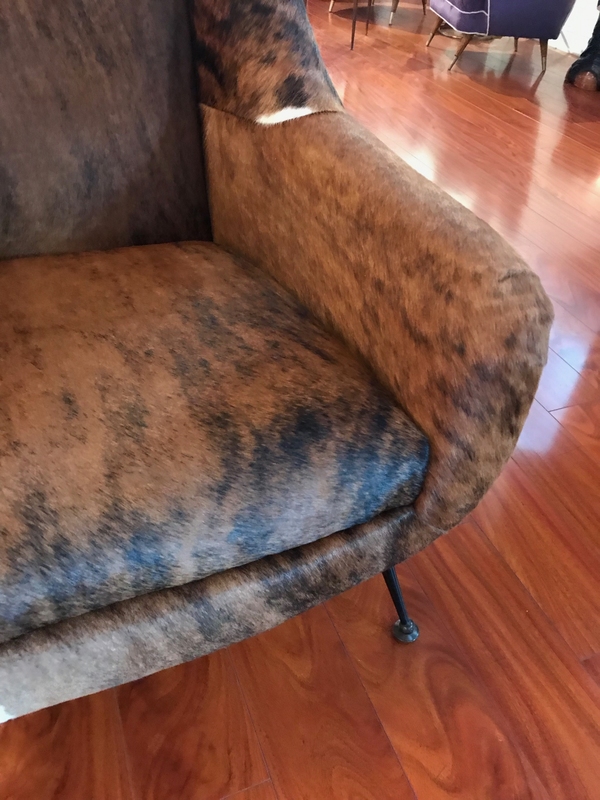 The cowhide is in amazing condition.